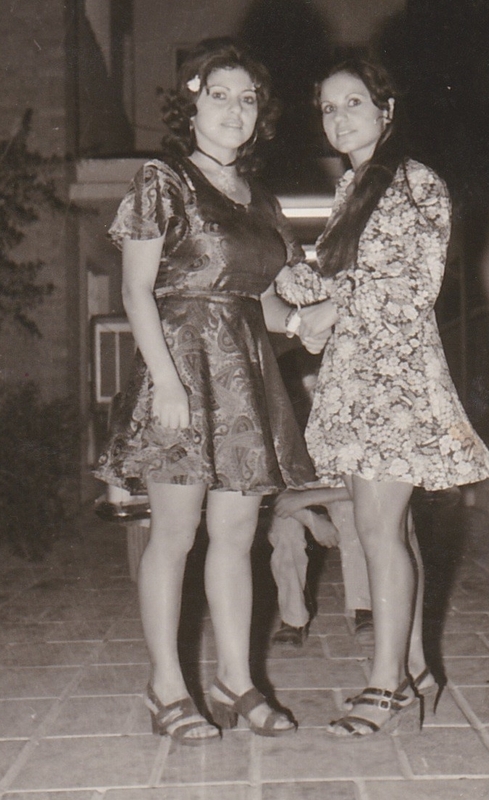 When my sisters tell me old stories of when they lived in Iraq, and as I flip through black and white family pictures taken in Iraq during the 60s and 70s, I am saddened that Iraqi women have fallen into the stone age. I am even more saddened that people wish to bury this devastating fact. Throughout much of recent history, Iraq was one of the most progressive countries in the Middle East for women, with Iraqi women historically enjoying more freedoms than the women of neighboring countries. My sisters, for instance, had a membership to a neighborhood Swim Club. They went there regularly with their female friends, most of who were Muslim. They swam in unisex pools wearing modern day bathing suits. After a nice swim, they returned home unscathed. Prior to 1920, Iraq was ruled under the Ottoman Empire for four centuries. During this time, Iraqi women had little or no rights. Under the British occupation from 1920-1958, the situation for women did not change much. It was not until 1958 that Iraq became a Republic and for the first time ever, women’s rights began to improve. That’s when the government of General Abdul-Kareem Kasim, supported by the Iraqi Communist Party, amended Personal Status Law to grant equal inheritance and divorce rights. This personal Status Law also relegated divorce, inheritance and marriage to civil, instead of religious, courts, and provided for child support. The Iraqi Provisional Constitution (drafted in 1970the Baath Party) formally guaranteed equal rights to women and other laws specifically ensured their right to vote, attend school, run for political office, and own property. Enrollment of women and girls in rural areas in literacy centers under the illiteracy eradication legislation of 1979 transferred women in Iraq into a new level of education, labor, and employment. With other employment laws, the opportunities in the civil service sector, maternity benefits, and stringent laws against harassment in the work place allowed Iraqi women larger involvement in building their careers. Women attained the right to vote and run for office in 1980. In 1986 Iraq became one of the first countries to ratify the Convention on Elimination of all forms of Discrimination Against Women (CEDAW). Deterioration of women’s rights in Iraq began during the US-UN comprehensive economical sanctions imposed on Iraqis during the 1990s. The financial crippling of families resulted in an increase of female illiteracy as many families could not afford to send their children to school. In 2003, the US led invasion resulted in the most vulgar descent of the rights of women. It led them to the oppression their ancestors experienced when they were ruled by the Ottoman Empire. Operation Iraqi Freedom has truly enslaved Iraqi women but most people don’t want to own responsibility for having created this story. I agree with Ginny. This is an eye-opening article. Thanks for informing us of the history of Iraqi women. It is so sad the U.S. has set them back many years.